This product ships Canada wide by ground freight only from an Ontario warehouse. This is a double pack which contains 2 new compatible HP 26X (CF226X) black toner cartridges. This 26X new compatible toner contains all new components. Free printer software available to track the CF226X (26X) toner cartridge performance. Please click here to request the free software. As every toner cartridge will have its own unique yield (pages printed per toner cartridge) for a specific price, the only accurate way to compare the real cost of the NC26XD toner is by CPT. CPT is very easy to calculate. 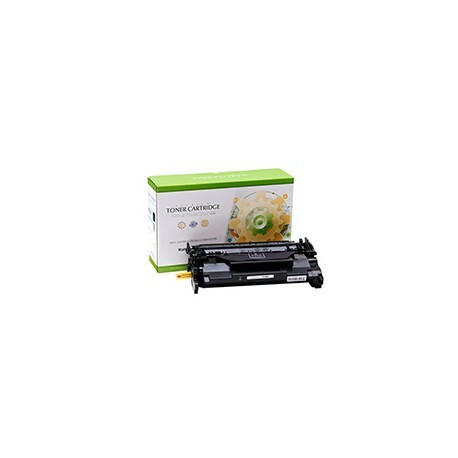 This is a new compatible HP 26X CF226X double pack black toner cartridge. Our new compatible toner cartridges are made from all new components in an ISO 14001 Certified factory by a ISO 9001 certified company. Our high quality new compatible HP 26X (CF226X) toner cartridge is made with system matched components selected by toner cartridges engineers with over 20 years of toner industry experience. Achieve impressive printing results with equally impressive low cost per page. Our new compatible HP 26X (CF226X) toner cartridge consistently deliver documents with crisp text and sharp images at the lowest cost per page. Make managing and replacing supplies simple with our free printer software.